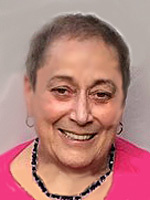 Linda Eileen (Dennis) Morants, 74, died peacefully after years of serious health conditions. She will now join her beloved late husband, George Morants, after missing him since his passing in 2007. 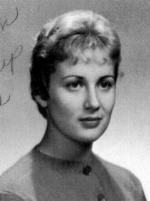 Linda was a proud graduate of the University of Hartford, Hartt School of Music, where in 1965 she received her Bachelor of Music in piano. From the young age of 5 she studied with Hartt's prestigious instructor, Moshe Paranov. Her talent was immeasurable and she was a candidate to study in Germany at the young age of 8. In addition to her love for piano and Beethoven, she loved writing poetry, watching movies, gardening, shopping, doing crafts and talking with her family and friends. She had a quick sense of humor and was famous for making silly faces and crafting rhyming jingles. She is survived by her children: Lisa (DeGroat) Sandstrom, husband Eric, and grandsons, Benjamin and Connor, of Rowayton, CT; David DeGroat, wife Prisca, and grandsons, Bela and Jasper, of Essen, Germany; Michele (Morants) Knapp and loving husband Joseph of Jay, ME; Tarek Morants, wife Dawn, and grandsons, Tahsin and Torin, of Aurora, CO. She also leaves behind her beloved brother, Bruce Dennis, sister-in-law Barbara (Buggie) Dennis and family of Willington, CT.
A memorial service is planned for Saturday, June 17 at 11:00 a.m. and will be held at Rose Hill Funeral Home, Elm St., Rocky Hill, CT. In lieu of flowers, donations may be made to Avery Heights, Memory in Music Program, 705 New Britain Ave., Hartford, CT. The family is deeply grateful for the outstanding care she received while living at Avery Heights and the loving community that works diligently to provide support to their residents. The family would also like to thank Hartford Hospice Homecare who provided support and guidance to Linda and family during Linda's illness.